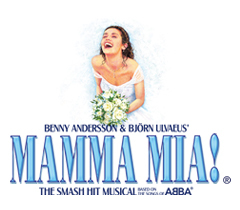 In celebration of our 20th Anniversary this year, we're giving you the opportunity to win some truly amazing MAMMA MIA! prizes! Each day until 6 April 2019, we'll reveal a new prize to be won, including some fabulous exclusive items not available elsewhere. The prize draw is open to all our fans worldwide. Don't forget to check back again each day until 6 April 2019 to see what prizes are up for grabs! You can enter on any day of the promotion, including past days, simply by clicking the prize door you wish to enter and submitting the completed entry form. THE PRIZE DRAW IS OPEN SO ENTER NOW HERE! Terms apply: Entrants must be 18+, all entries must be received by 23:59 BST 6 April 2019.